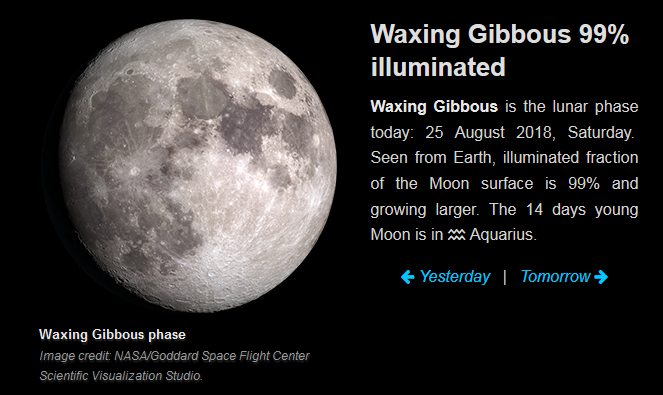 The brilliant August Full Moon will light up the night skies this week on Sunday, August 26. The upcoming Full Moon is the ninth of this year’s 13 Full Moon phases, coming off the back of the July 27 Blood Moon eclipse. According to astrologers who have traced the Moon’s path across the skies this month, the Full Moon will rise in the star sign of Pisces. Full Moon’s opposition to the Sun highlights “opposing forces or polarities in your life”. These opposing forces can be found in the balance between work and home or in the things you desire versus the things that you need. Your home, your family and your intimate relationships all come into focus around the time of a Full Moon. The lunar qualities of emotions and instincts reach their peak at a Full Moon. Use your increased emotional strength and intuition to overcome any relationship challenges.unconscious feelings of heightened awareness can lend a helping hand in keeping an “impartial and balanced” look at your personal relationships. If there are any dynamics or bad feelings causing distress in your relationships, the Full Moon will help bring them to light. These effects will linger for up to two weeks after the Full Moon fades for the night skies, up until the birth of the Moon. The August Full Moon brings with it a burst of fresh energies in the romantic and creative spheres.